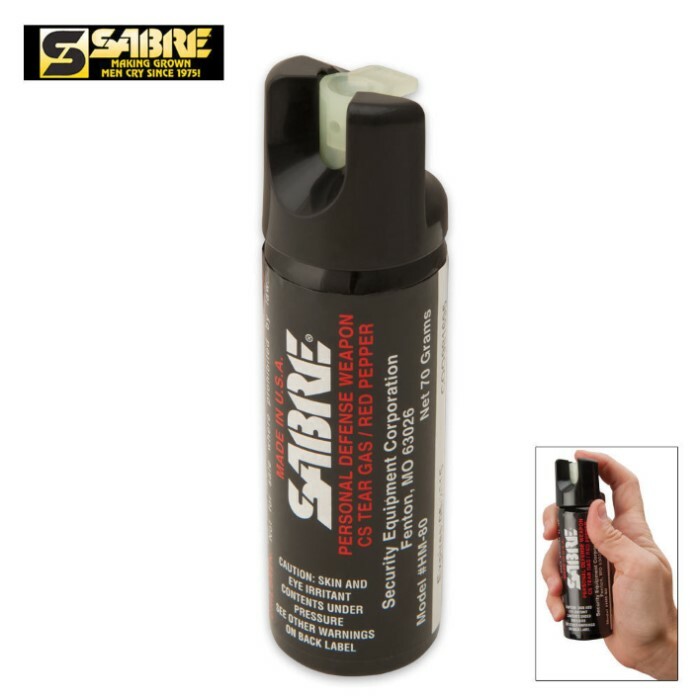 Sabre Home Defense Spray 2.5 oz. With Mount | BUDK.com - Knives & Swords At The Lowest Prices! Locate this Sabre home defense spray with glow-in-dark safety and wall mount clip immediately in the dark. Sabre's Home Defense pepper spray contains 25 shots with a range of 8 to 10 feet.